A belated Happy New Year to all GSA Archive blog readers! Since the fire in the Mackintosh Building in May 2014, the team here at the GSA Archives and Collections has been searching for an appropriate location to serve as both our new office space and archive stores while the restoration work continues on the building. While it has taken some time to find the right location, I am happy to announce that we have now moved to The Whisky Bond! 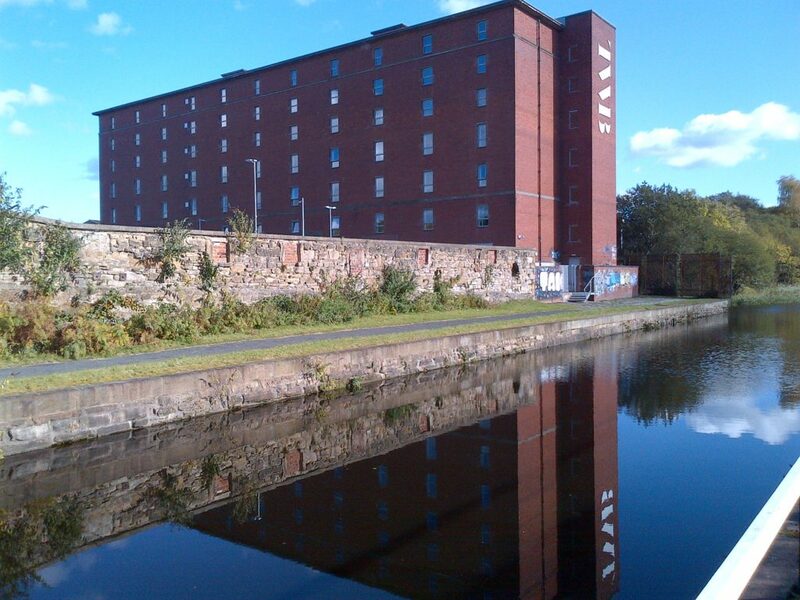 Located in Speirs Lock on the beautiful Glasgow Canal, we will reside in The Whisky Bond for the next 3 years as work continues on restoring the Mackintosh Building, and we continue to recover our collections. Currently the GSA Archives and Collections Centre is preparing to re-open to visitors at the end of this month. In the meantime we’ll continue to respond to remote enquiries via email (archives@gsa.ac.uk) and will consider requests for research visits on a case-by-case basis. We will also continue our work with several ongoing projects – including our Recovery Project, WWI Research and New Wave: Materials, Methods and Media, Glasgow School of Art 1970-1986 – and updates on these will be available on our blog here, and on our new project site, GSA Archives and Collections Projects. So for those of you with burning questions about our archives and collections, do not hesitate to get in touch!